There’s a weird power source in a far-off galaxy and it might be from aliens who can travel. Mysterious pulses of energy coming from far-off galaxies detected several times from Earth could be the result of alien activity. Fast Radio Bursts (FRBs) are radio wave pulses lasting just a millisecond that have been detected by the world’s most powerful telescopes. Scientists from Harvard think they could be the result of leaking energy from alien transmitters that can move vehicles between whole galaxies using solar power. Only a few FRBs have been detected since the first occasion in 2007, and the galaxies they originate from are billions of light years away. But scientists don’t think they’re a natural part of the universe. In a new study, astrophysicists say to build something that could transmit such powerful signals, an area twice the size of the Earth would be needed to collect power from a star. 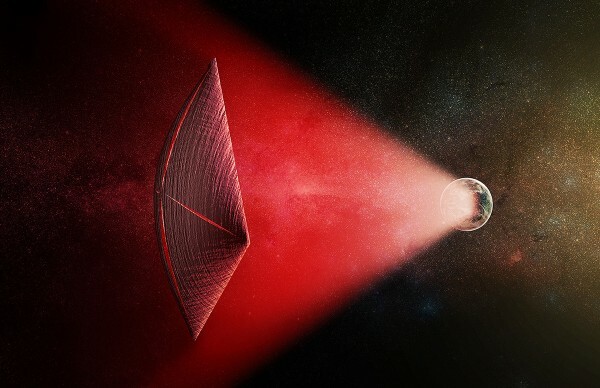 The researchers’ most exciting proposal is that the theoretical solar-powered machine could be used to drive an interstellar light sail, which would harness pressure from light to accelerate space craft across light years with ease. Their study, published in Astrophysical Journal Letters, says the machine could move ships 20 times the size of our largest cruise liners. “That’s big enough to carry living passengers across interstellar or even intergalactic distances,” said co-author Manasvi Lingam. He’s proposing that FRBs detected from Earth are leaks from the transmitters powering the light-sailing ships, which only flash temporarily as everything else in the system is moving relative to us.